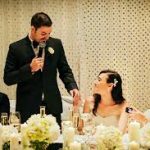 The internet is full of wedding speech templates and cut-and-paste jokes. We are proud to use none of them. 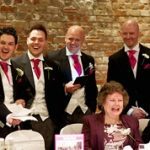 Every wedding speech we write starts with a blank piece of paper and is based entirely on information you provide (face-to-face, over the phone or via email). We are also delighted to give our feedback on a speech you have already written, and happy to edit it as required. A generation ago, the speeches at a typical wedding were often restricted to the groom and a friend of the bride’s family (often a Godfather). 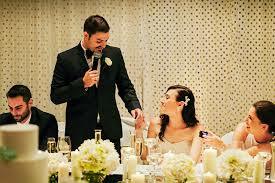 Now, the father of the bride, groom and best man will almost always speak, and there may be more! 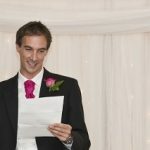 The wedding speeches we write most regularly are listed below. Please do contact us if you are stuck, or in need of someone to take the strain. When writing a speech, it can be tempting to grab a pen, sit down, and hash it out all in one go. But taking the time to do some research, to amass all the information you might need to draw upon, will make a huge difference to the final product. Start gathering the scandalous stories, or heart-warming anecdotes that will lift your speech up to the next level? Start by quizzing the parents, siblings and friends. – Use short, punchy sentences. 6 to 8 words is ideal. – Break up longer sentences. 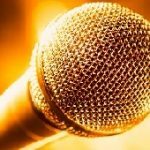 – Type each section of your speech. This will help you from getting lost! – Read sentences aloud after you have written them. A successful speech depends on a good delivery as well as the words on the page. Practice is essential.